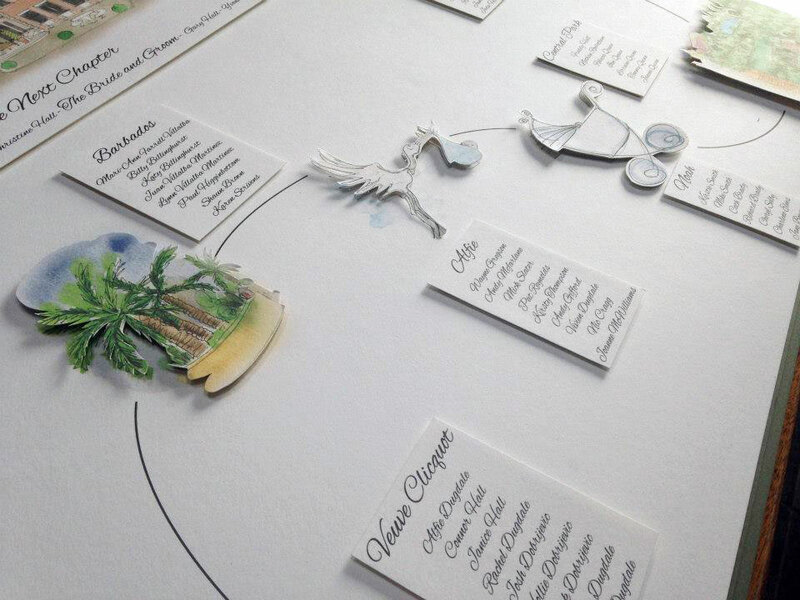 Let Papermonkeys illustrate your story! 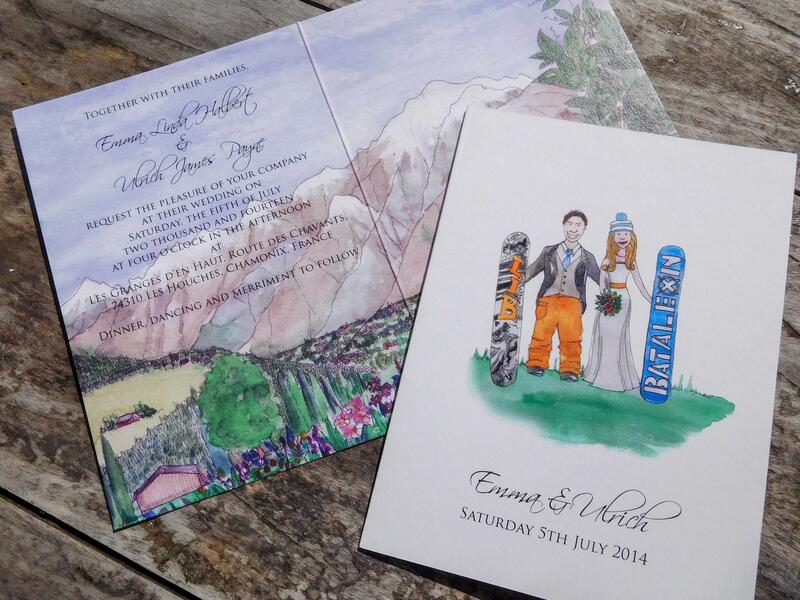 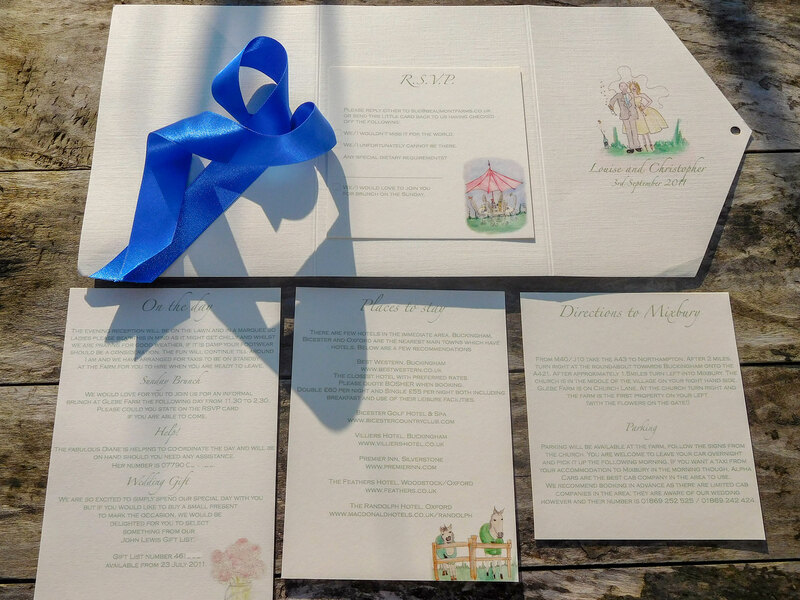 If you like your wedding invitation personalised, why not let Papermonkeys paint a caricature of you in your wedding attire, maybe outside your wedding venue. 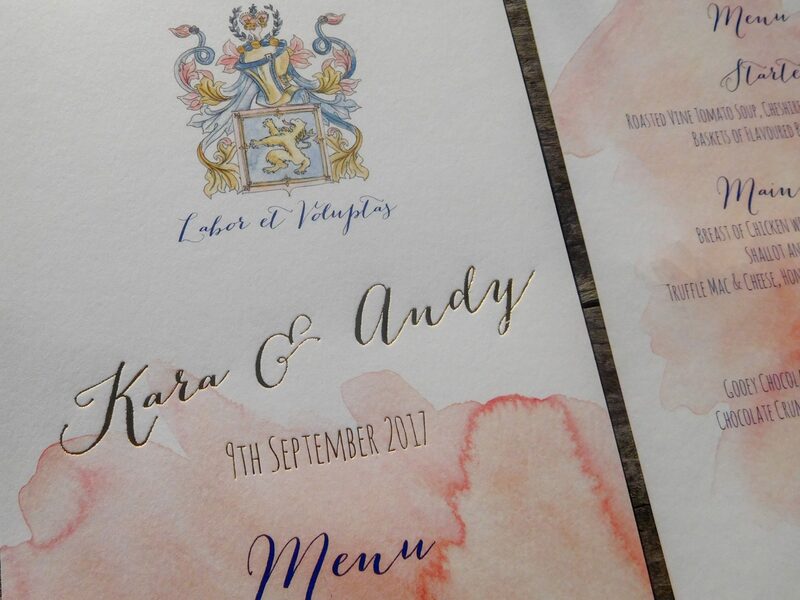 We have painted various bride and groom’s in traditional or full military dress, in a secret garden or driving off into the sunset on a moped! 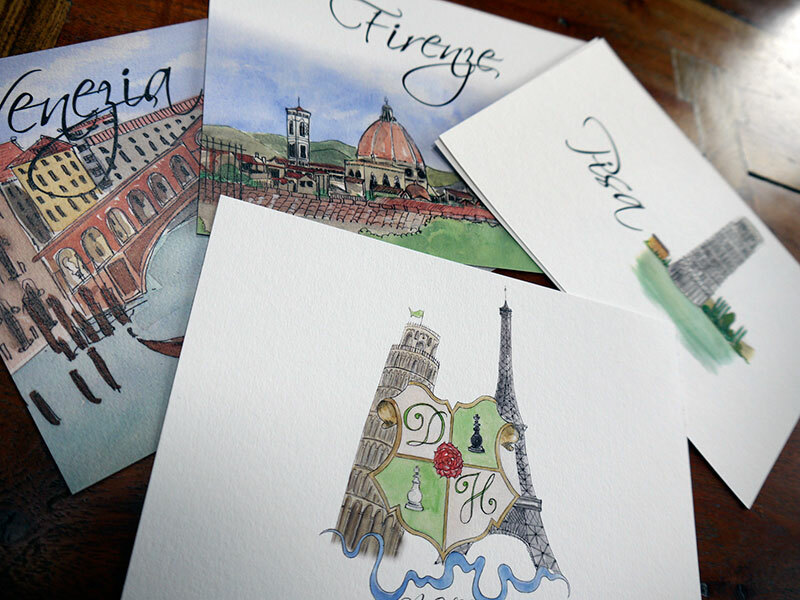 Take a look at the images below for inspiration. 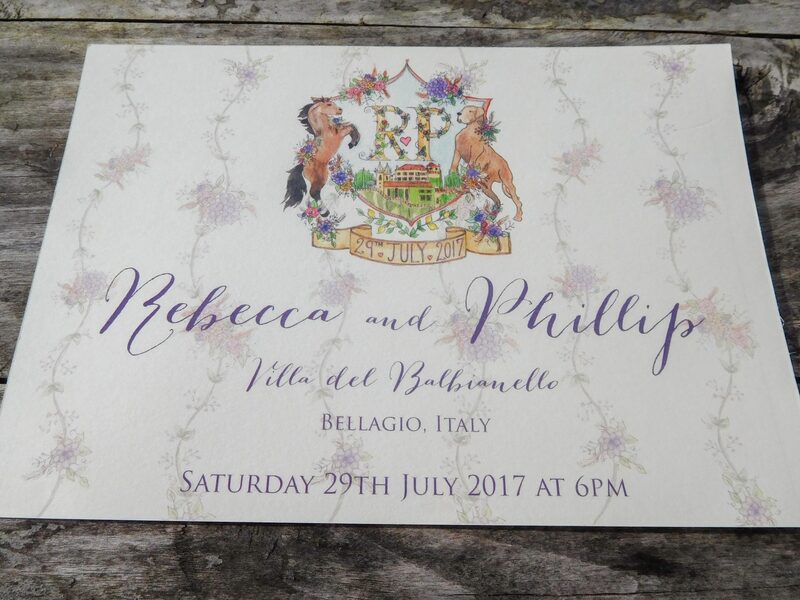 Please note, we are unable to create true lifelike portraits, we offer a representation in our individual Papermonkeys style. 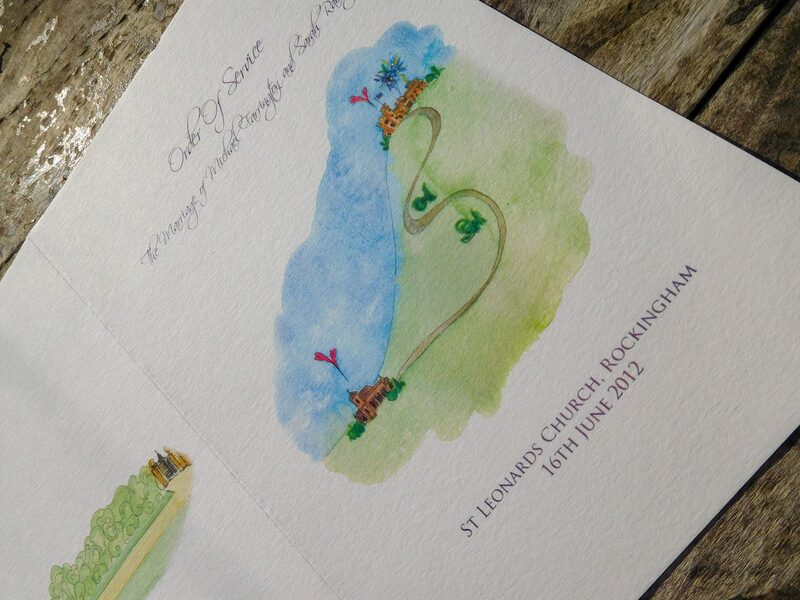 Custom illustration painted of the newly wed couple, used in their wedding day thank you stationery. 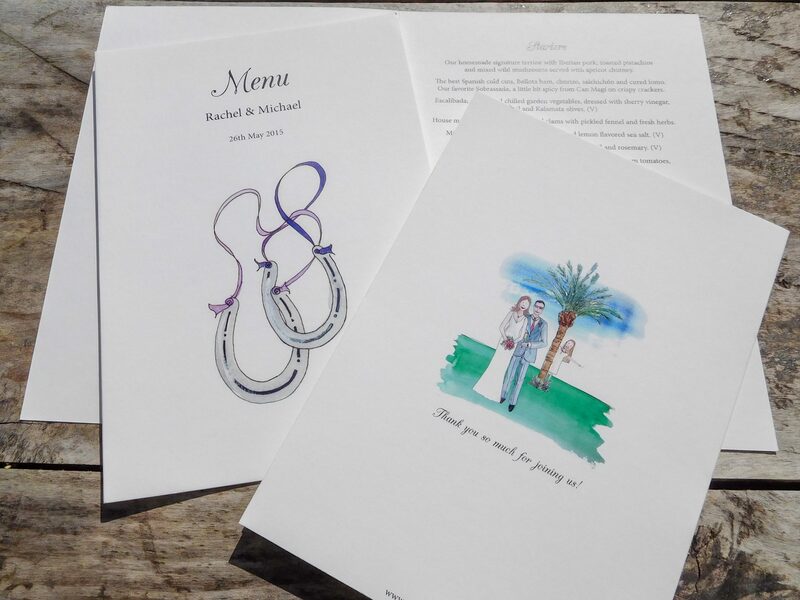 Custom watercolour illustrations of the happy couple, a garden party, the horses and the spring blooms showcase this wedding. 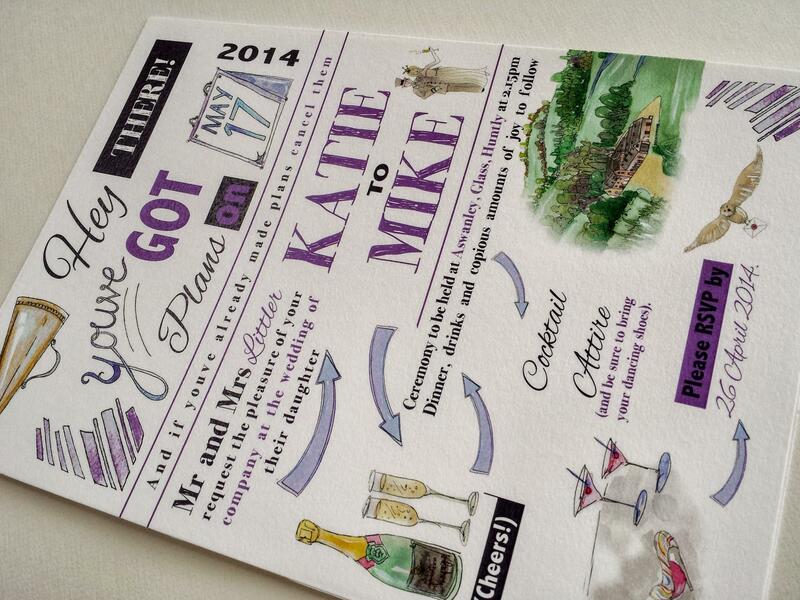 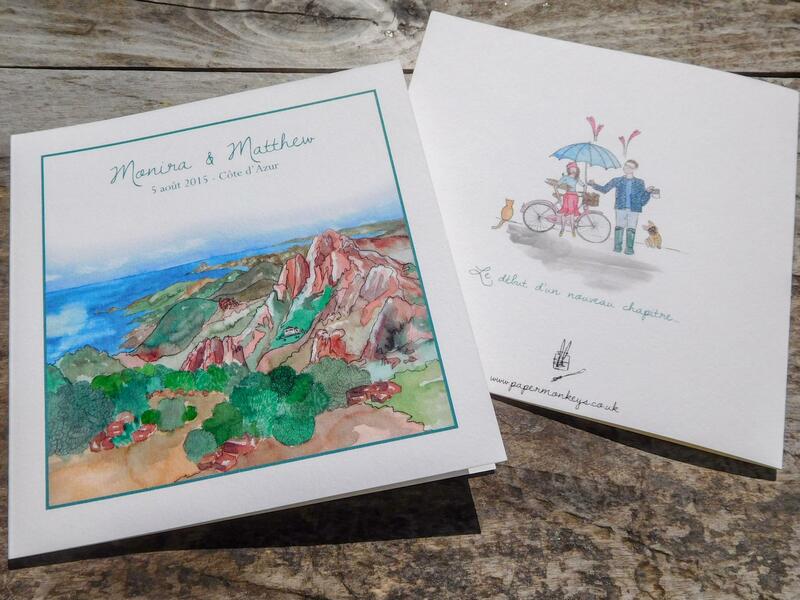 Watercolour illustration of the rugged Cote D’Azur coastline used on this wedding invitation. 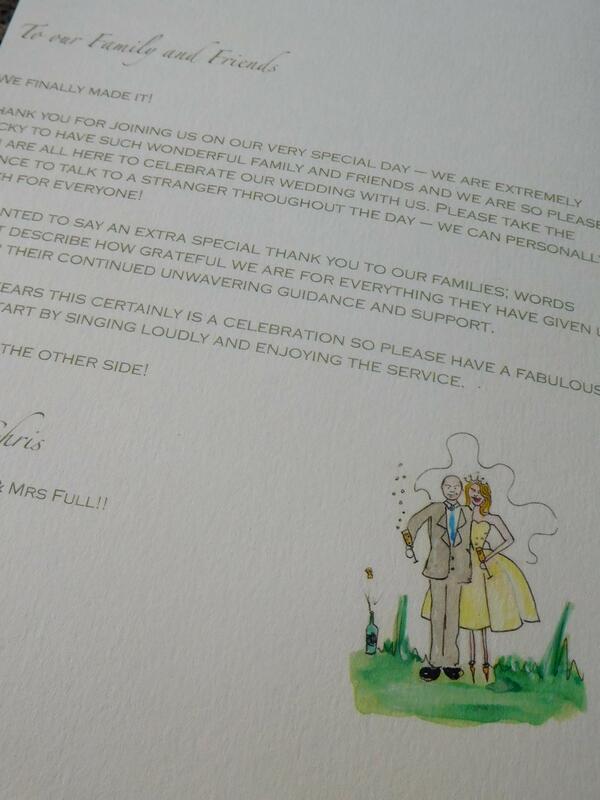 A custom caricature of the wedding couple painted to use on the invitation. 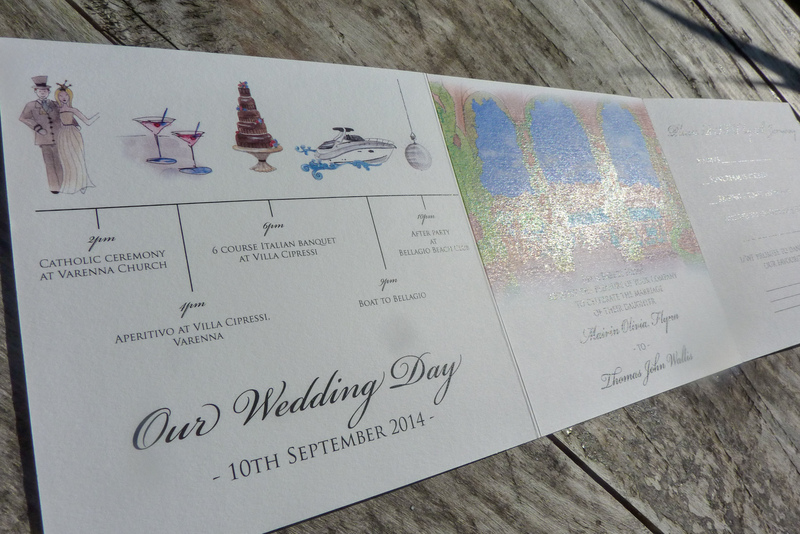 We can paint a timeline of your time together. 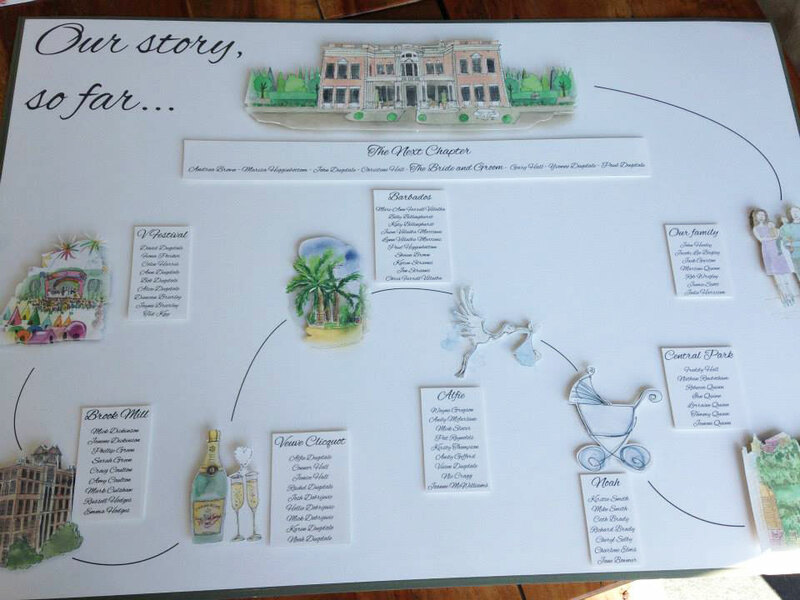 Where you met, where you proposed, we can create illustrations to tell the story right from the very beginning ready for your next chapter. 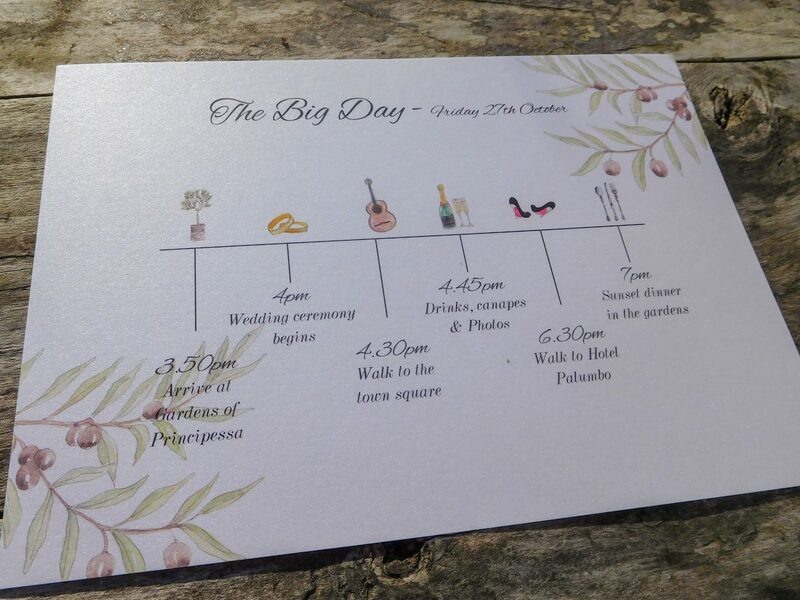 We can also produce a timeline for your wedding day. 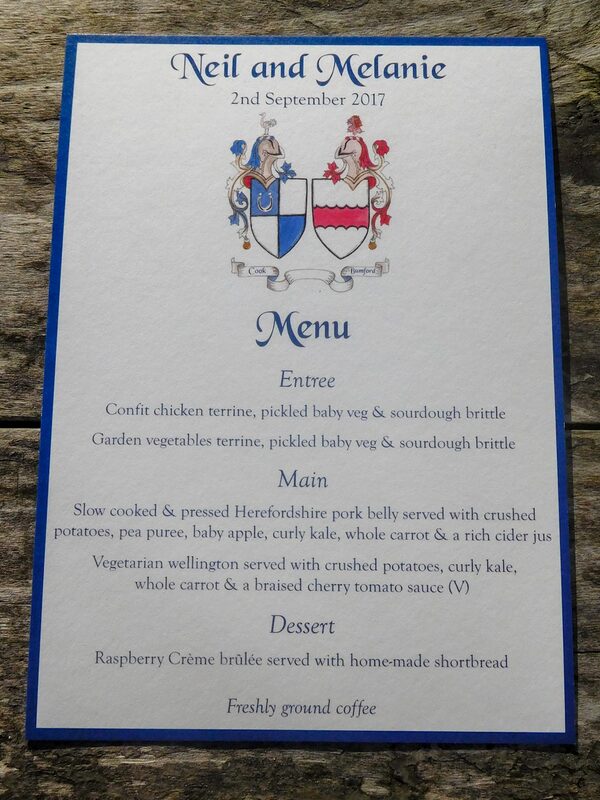 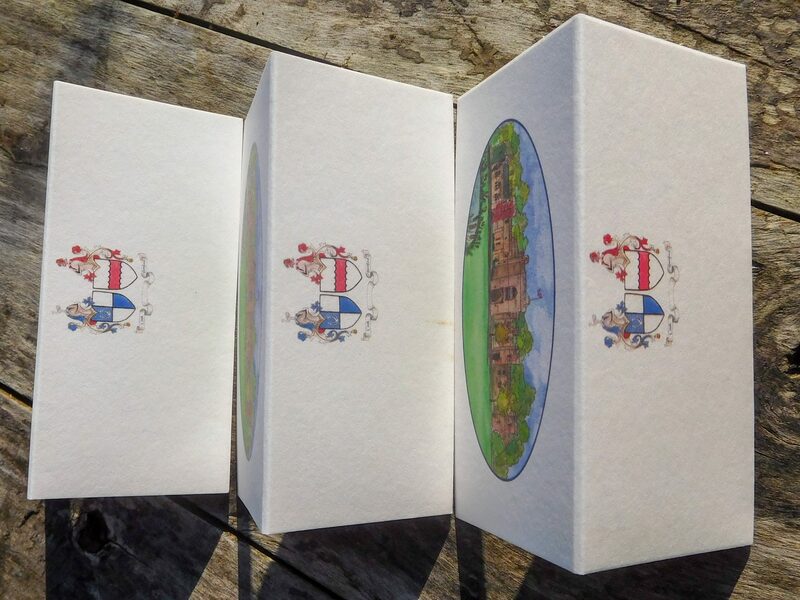 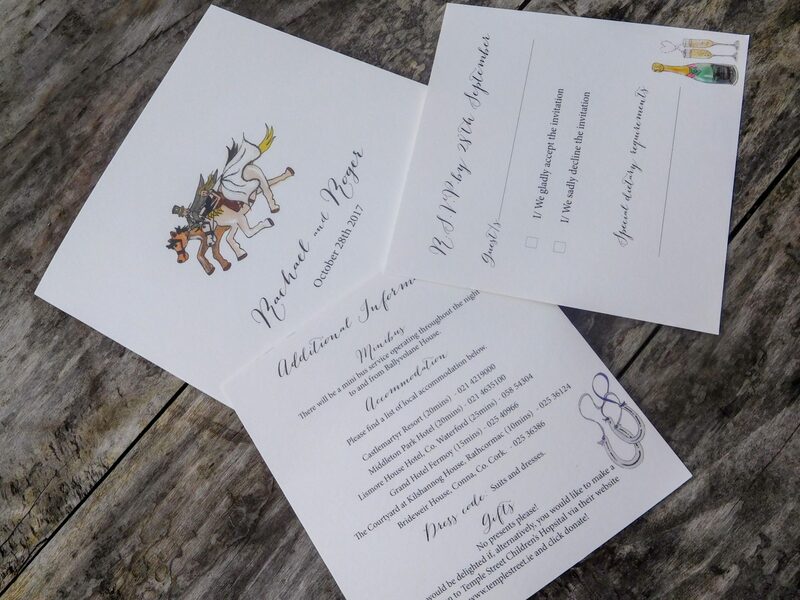 For true personalisation of your wedding stationery we can draw a bespoke coat of arms illustration designed just for you. 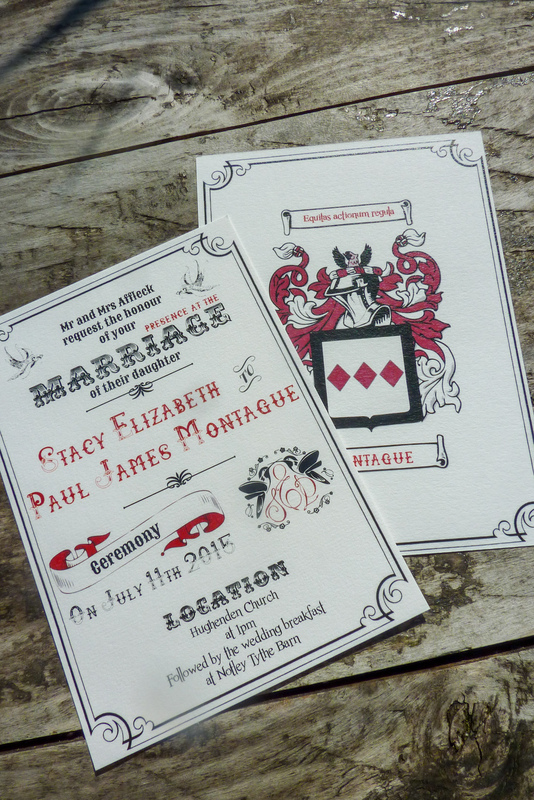 Tell us the important things about you and we will illustrate this within your very own coat of arms.